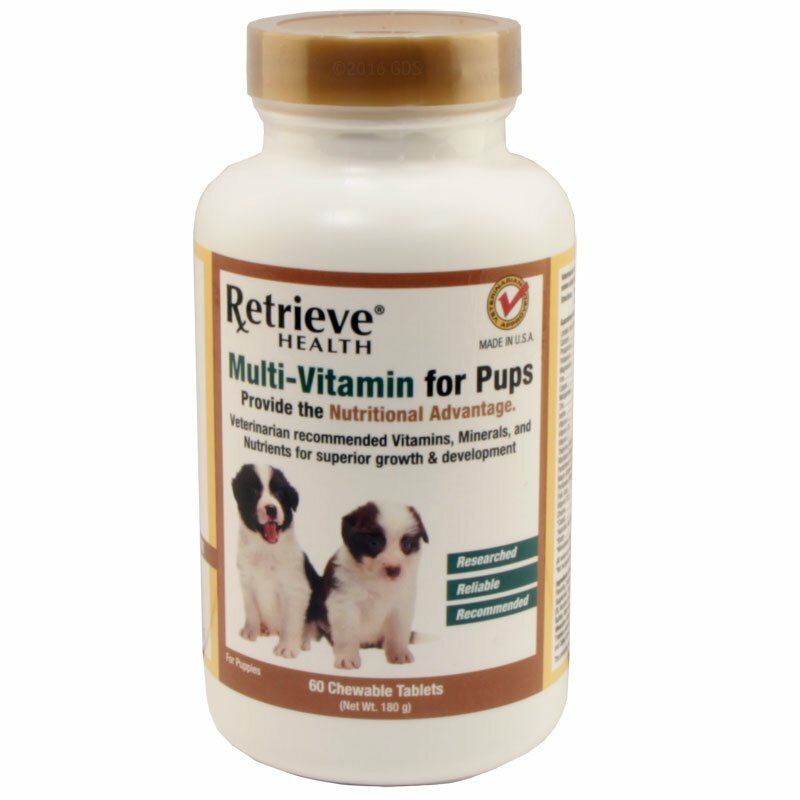 Retrieve Health Multi-Vitamin for Puppies. $14.99. "My dog had no problem consuming these vitamins." My dog had no problem consuming these vitamins. Eats them like snacks. Retrieve Health MULTI-VITAMINS FOR PUPS are manufactured using pharmaceutical grade vitamins and minerals providing your growing puppy the nutrients he or she needs. Here is your chance to give your puppy the extra edge for superior physical and mental development. 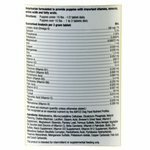 Pharmaceutical grade vitamins and minerals help increase energy and stamina, better immune function, reduces stress, improved vision, improved hearing. Experts feel healthy pets are more able to resist flea, worm, pest infestations and less susceptible to diseases. They also learn better and are overall happier and healthier animals. 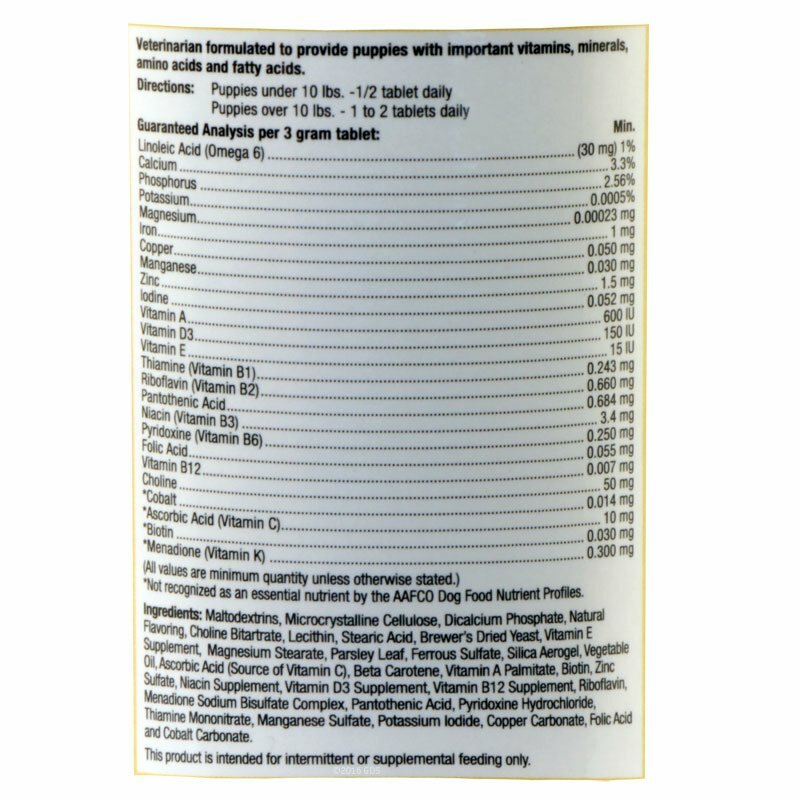 Maltodextrins, Dicalcium Phosphate, Montmorillonite Clay, Microcrystalline Cellulose, Natural Flavoring, Whey, Non-fat Dry Milk, Brewer’s Yeast, Lecithin, Ferrous Sulfate, Niacin, Processed Grain By-Products, Magnesium Stearate, Stearic Acid, Ascorbic Acid (Vitamin C), Vitamin E Acetate (dl-Alpha Tocopheryl), Biotin, Zinc Sulfate, d-Pantothenic Acid, Vitamin A Acetate, Silica Aerogel, Riboflavin, Thiamine Mononitrate, Vitamin D3 (Cholecalciferol), Manganese Sulfate, Vitamin K, Pyridoxine HCI, Folic Acid, Copper Carbonate, Potassium Iodide, Cobalt Carbonate and Cyanocobalamin.